Developer : XLabz Technologies Pvt. Ltd.
Minor bug fixes & enhancements. 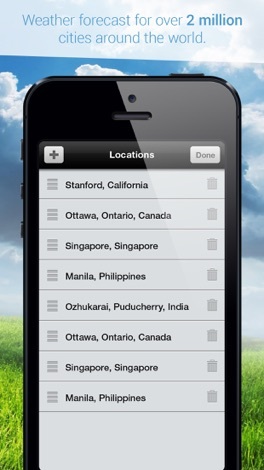 Get the current weather conditions and 4-day forecasts in your city & anywhere in the world! Off on an impromptu trip to a new city and wondering whether you’ll need to pack your umbrella or a winter jacket? Planning a family picnic, but not sure if the nice balmy weather will hold out? Now you can plan ahead and be prepared for any weather with Weather! 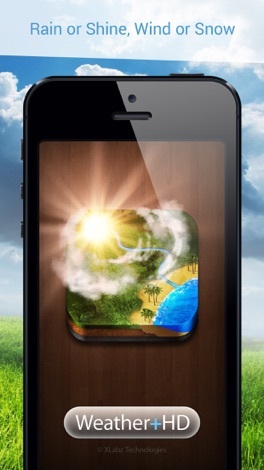 WeatherCast HD is your personal weather channel which brings you weather forecasts right on your iPhone or iPad! Rain or shine, wind or snow; WeatherCast HD gives you an accurate weather report of the current weather conditions and forecasts in your city and just about any location from around the world! All kinds of weather are brought to life on your device, with spectacular images which dynamically change to reflect real-time weather conditions. Not just that, this Weather app also textually displays whether it’s cloudy, lightly snowing, heavily raining and more! These features make it easy to instantly and visually see if it’s sunny, foggy or snowing! This pocket radar will provide you with a short-term forecast of heavy rains, storms and other severe weather conditions. • Weather forecast of the next 4 days with Minimum temperature and Maximum temperature. • A GPS tracker to identify your current location and display the current weather conditions there. • View weather conditions and forecasts for over 2 million cities from around the world. 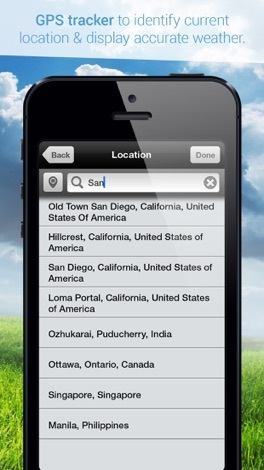 • Add up to any number of locations and track the weather conditions & forecasts of each of them. 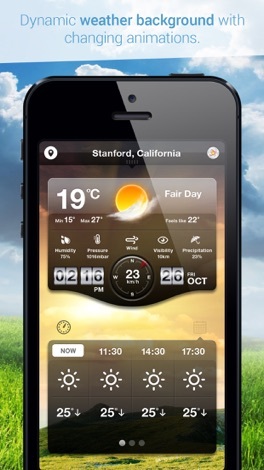 • Dynamic weather background with changing animations, to reflect real-time weather conditions and also day time / night time of any given location. 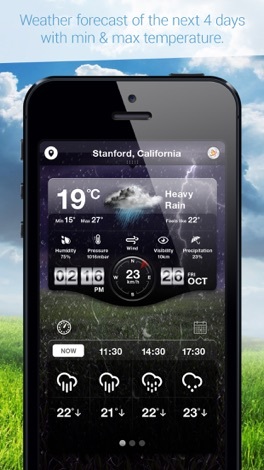 • Textual display of weather conditions like Overcast, Icy fog, Light Sleet, Moderate Snow etc. • Hourly updates of both current weather conditions and forecasts. Don’t ever let the weather take you by surprise again! Get WeatherCast HD now and stay abreast of weather conditions and forecasts anywhere, anytime! The Accounting Jobs App lets accounting job seekers search accounting jobs nationwide including accountant, financial analyst, controller, accounts payable clerk and more. Review accounting salary information, learn about accounting careers through videos, leave a business card and create a resume for hiring employers. Scrapes CATe and shows her to you in real time. • Lists your deadlines, sorted by due date. • Get specs and notes. • Personal "Today" view of lectures, etc. -- CATe is an ancient artifact being used as the online submissions/timetable system by the Department of Computing at Imperial College London. iBebe is an application for the parents who want follow the development of their baby. With iBebe you can track your child's growth and match his/her development to the international growth charts. You can log and check the time between breastfeeding sessions, how long each feeding lasts, the number of bottles fed or last breast used. More by XLabz Technologies Pvt. Ltd.